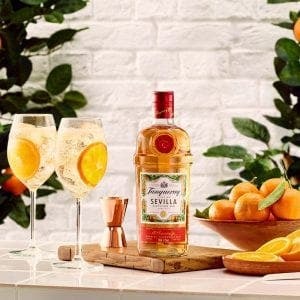 ONE of Britain’s biggest gin companies has paid homage to Sevilla with a new flavour inspired by the Andalucian city. Tanqueray has unveiled its soft Flor de Sevilla distilled gin, made with Spanish orange essences and blossoms. It comes as Pantone, the worldwide standardised colour production guide, has also revealed a special colour for the Andalucian capital, which has been used on Tanqueray’s new crystal bottle. 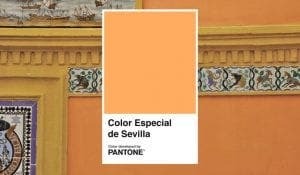 The tone, named Orange FFAB60, was created through a chromatic study using Google Street View, analysing more than 1,000 streets and 30 cultural sites in Sevilla, such as the famous Plaza de Espana. Tanqueray’s latest creation is not a limited edition, so gin lovers will be able to get their hands on a bottle for the foreseeable future.